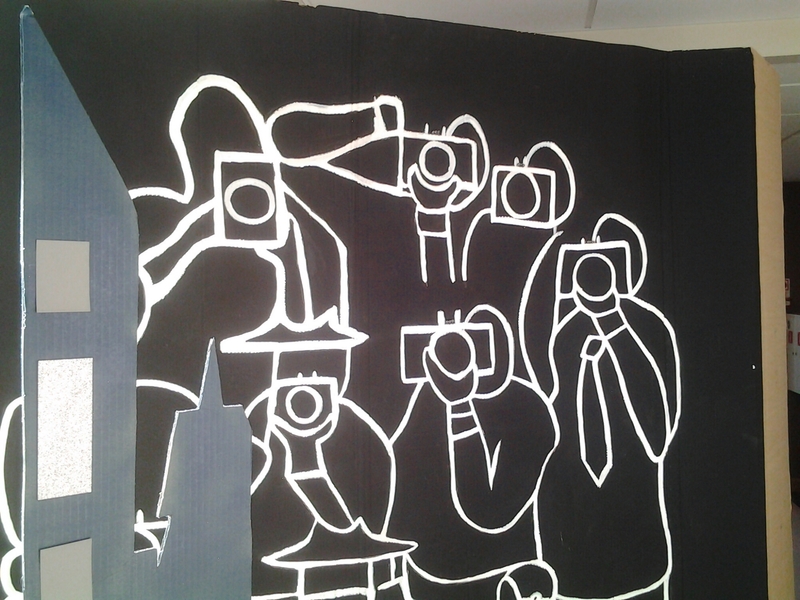 For last Saturday’s Oscar-themed prom, two of my students wanted to make a cardboard wall of photographers. 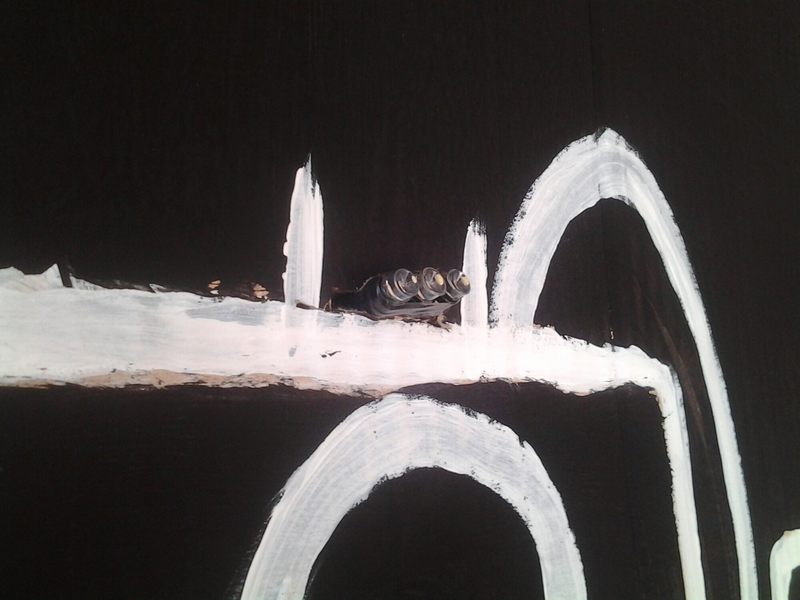 Essentially, a collection of randomly-firing bulb flashes placed on a piece of cardboard. After experimenting with the capacitor-driven flash units of couple disposable cameras and recognizing they would be too dangerous, we settled on the use of some high-intensity LEDs we took off a string of holiday lights. We decided to use Arduino as our microcontroller platform. To simplify construction, each LED was wired to one pin, with the grounds soldered together. In testing, these LEDs were receiving about 4.4 V (rms) from their main supply (220 V), so we figured they could handle the Arduino’s 5 V for a short duration without damage. Three of the LEDs together made a light source too bright to look at directly, and that passed for a flash in the interior setting of the prom. Thus, for 8 “cameras” we needed 24 LEDs, and thus two Arduinos. A former student, currently studying computer science, wrote up the straightforward Arduino script. We considered drawing a random number (0 to 3) to choose which set of 3 LEDs to light, and another random number (0 to 2000) to determine the delay between flashes, but a constant flash interval of 1 second looked better. Indeed, it looked quite good, and after 2 hours of stripping wire and soldering connections, the students were justifiably proud of their work. 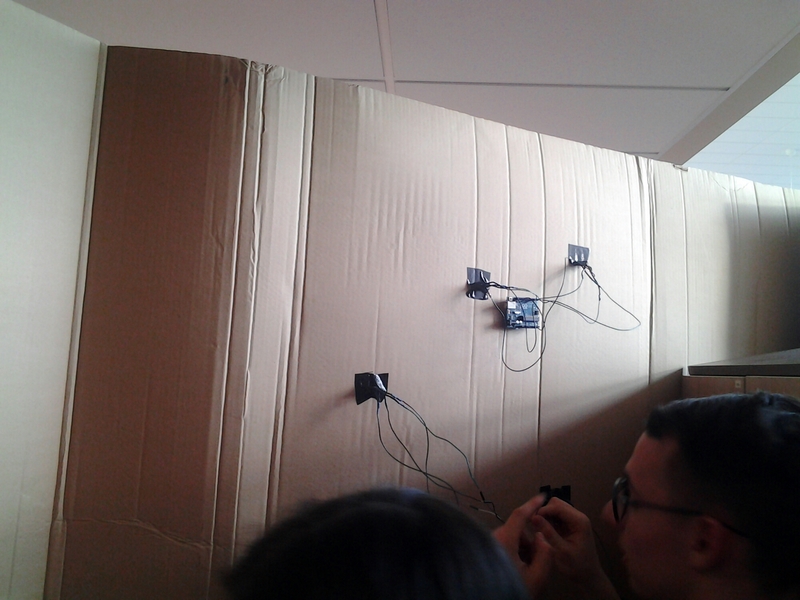 This entry was posted in Uncategorized and tagged arduino, LEDs, student work on April 20, 2015 by Danny.